The international press knows all about Houston Grand Opera which, among its many coups, has debuted world premieres of operas by renegade geniuses Philip Glass and Robert Wilson and has served as a temporary home to several of the greats, including the late Pavarotti. Back in the 1950s, the first production by the HGO was the then-controversial Salome, which established the company and set a precedent for taking risks. 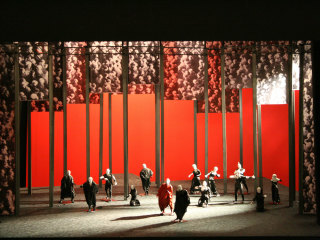 Nobody who was there will forget Robert Wilson’s slow-motion, almost psychedelic interpretation of Wagner’s Parsifal, which lasted around six hours with three intermissions. Or when many in Houston made a date with the devil and watched the athletic and gifted bass-baritone Samuel Ramey star in Boito’s Mefistofele and sensuously cavort bare-chested around the stage as Satan, surrounded by a huge chorus of gyrating semi-naked inhabitants of hell. And that’s just a snapshot of what you can expect on an ongoing basis from this innovative company with a well-deserved reputation for mounting provocative productions.